The Galloway @ Hacienda is located in Pleasanton at the corner of Gibraltar Drive and Hacienda Drive within the master-planned Hacienda Business District. The project is comprised of a 4-story garden product and 4-story highDEF product and has approximately 250 for-rent apartment units. 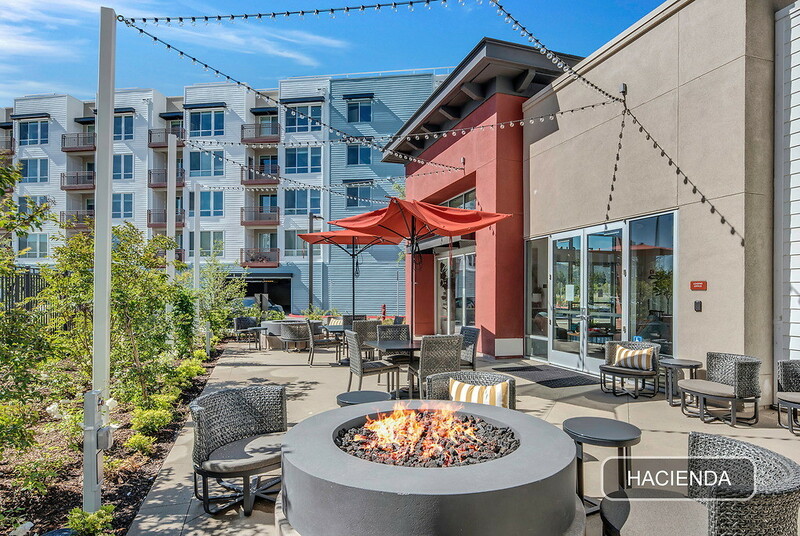 Leasing and resident amenities are located in separate standalone structures and include a fitness center with an outdoor yoga lawn, a resident clubhouse with an outdoor kitchen and lounge, and a formal event space. Additional amenities developed for the enhancement of the resident experience include a resort-style swimming pool and spa, a BBQ picnic area, garden courtyards and shaded walkways throughout the property. Also developed with this property is a one-acre community park including a children’s playground, open activity lawn and dog-walking station adjacent to a public-access trail. A low-maintenance, low-water-use plant palette comprised of native and well-adapted Northern California plants was developed to complement the modern aesthetic of the architecture, facilitate in storm-water management and to save on operation costs and throughout the life of the project.